The prevalence of smoking among adolescents has decreased over the past decade; 23% of 12 grade students reported smoking in 2011 compared to 37% in 1997. Klein mentions that most preschoolers recognize cigarettes and 55% think they will smoke as adults. This is a scary thought and as pediatricians, we have a role in helping to prevent the onset of smoking and advising on smoking cessation. 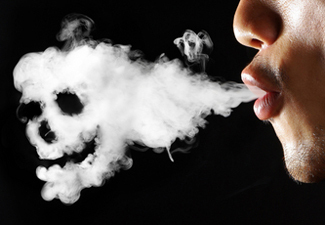 Long-term tobacco smoking has been linked to causing damage to nearly every part of the human body. Smoking causes cancers of the oral cavity, pharynx, larynx, lung, esophagus, stomach, bladder, kidney, pancreas and cervix. Smoking causes 80-90% of lung cancer deaths in women and men. Due to these negative effects of smoking, it is crucial to ask about smoking and promote smoking cessation at every visit. Secondhand smoke exposure: children are most vulnerable to smoke exposure during the pre and perinatal period and during the first 7 years of life, when most lung growth occurs. Children have higher rates of pneumonia, bronchitis, otitis media and sudden infant death syndrome if exposed to environmental smoke. Hence, it is important to encourage smoking cessation in pregnant women and parents. Smoking cessation is very important in the adolescent population because intervention at this time can prevent dependence and the long-term health consequences. Adolescents who smoke also tend to be involved in other risky behaviors including drug/alcohol use, early onset of sexual activity and unhealthy diets. These behaviors have additional health risks and can make smoking cessation more difficult. It is always important as the provider to acknowledge all of these behaviors when trying to promote smoking cessation in a patient. Tobacco dependence is a chronic condition that often requires repeated interventions, but effective treatments and helpful resources exist. Smokers can quit smoking. Currently there are more former smokers than current smokers. Similarly to adults, it has been established that both psychosocial counseling and pharmacotherapy are effective methods used for smoking cessation, and the use of the two achieve the best results. Peer influences: Longitudinal studies suggest that peer smoking has a causal influence on smoking initiation and cessation. Because of the reasons above, providers should always ask about peer and parent smoking. Having peers and parents help with smoking cessation could allow for better success. Confidentiality is important so ask patient if he/she would like to have parents/peers involved. How to address smoking cessation? Five A’s counseling strategy is a strategy developed for physicians to quickly incorporate smoking cessation counseling at every visit. Advise: giving patients advice can help them at least start thinking about the health risks and smoking cessation. Assess motivation to quit smoking at every visit. If patient is not ready to quit, the provider should provide motivational intervention. Assist patient in setting a quit date and give clinical guidance for nicotine withdrawal, depression, weight gain and relapse. Arrange for follow-up in order to congratulate on abstinence or reassess if relapse has occurred. This is a good time to think about additional treatment options including pharmacologic and behavioral therapies. Over the counter for adults (nicotine patch, chewing gum, lozenge). Studies have shown higher quitting rates in adolescents who used behavioral therapy and the patch concomitantly. A prescription is necessary to purchase the patch or gum if a patient is under 18 years old and the generic form is currently covered by Illinois Public Aid however CLICK HERE to check the formulary to be sure. Prescription (nicotine inhaler, nasal spray). Nasal sprays are less well tolerated by adolescents due to nasal irritation and burning. Varenicline (Chantix®) is a selective nicotinic receptor partial agonist that reduces withdrawal and craving symptoms while at the same time blocking the binding of smoked nicotine. Bupropion SR (Zyban®) is a norepinephrine-dopamine reuptake inhibitor which was initially developed as an antidepressant but has been shown to be effective as a smoking cessation aid. Studies have shown that the combination of medication and counseling is more effective for smoking cessation than either medication or counseling alone. Illinois-based resource with 24-7 help line and links to resources. Quit guide, resources specific for women, teens and Spanish speakers, and support via text, app, and live person. Also has a savings calculator which lets you show patients how much money they would save if they quit. FDA website listing approved products to help in smoking cessation. Website sponsored by the Department of Defense for military personnel and their families. Fact sheet from the National Cancer Institute on the harms of smoking and benefits of quitting. Klein, J., Camenga, D. Tobacco Prevention and Cessation in Pediatric Patients. Pediatrics in Review, 2004;25;17. Larzelere, M., Williams, D. Promoting Smoking Cessation. American Academy of Family Physicians, vol 85, #6. March 15, 2012. Rosen, J., Sockrider, M. Management of smoking cessation in adolescents. Uptodate.com, viewed on 2/11/13.